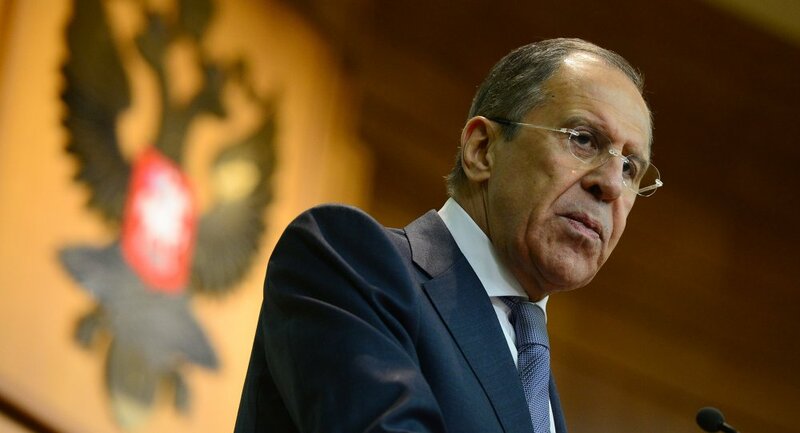 MOSCOW, April 7 (RIA Novosti) – NATO should stop its belligerent rhetoric over the crisis in Ukraine and return to normal cooperation with Russia, Russian Foreign Minister Sergei Lavrov said in an article published on Monday. The profound, pervasive crisis in Ukraine is a matter of grave concern for Russia. We understand perfectly well the position of a country which became independent just over 20 years ago and still faces complex tasks to construct a sovereign state. Among them is the search for a balance of interests among its various regions, the peoples of which have different historical and cultural roots, speak different languages and have different perspectives on their past, present and their country’s future place in the world. In these circumstances the role of external forces should have been to help Ukrainians to protect the foundations of civil peace and sustainable development which are still fragile. Russia has done more than any other country to support the independent Ukrainian state - including for many years subsidizing its economy through low energy prices. Last November, at the very outset of the current crisis, we supported Kiev’s wish for urgent consultations between Ukraine, Russia and the EU to discuss ways of harmonizing the integration processes. Brussels flatly rejected it. This stand reflected the unproductive and dangerous line the EU and US have been following for a long time. They have been trying to compel Ukraine to make a painful choice between East and West, thus further aggravating internal differences. Ukraine’s realities notwithstanding, massive support was provided to political movements promoting Western influence, and it was done in direct breach of the Ukrainian constitution. This is what happened in 2004, when President Yushchenko won an unconstitutional third round of elections introduced under EU pressure. This time around, power in Kiev was seized undemocratically, through violent street protests conducted with the direct participation of ministers and other officials from the US and EU countries. Assertions that Russia has undermined efforts to strengthen partnerships on the European continent do not correspond to the facts. On the contrary, our country has steadily promoted a system of equal and indivisible security in the Euro- Atlantic area. We proposed signing a treaty to that effect, and advocated the creation of a common economic and human space from the Atlantic to the Pacific which would also be open to post-Soviet countries. In the meantime Western states, despite their repeated assurances to the contrary, have carried out successive waves of NATO enlargement, moved the Alliance’s military infrastructure eastward and begun to implement antimissile defense plans. The EU’s Eastern Partnership program is designed to bind the so-called “focus states” tightly to itself, shutting down the possibility of fruitful cooperation with Russia. Attempts by those who staged the secession of Kosovo from Serbia and of Mayotte from the Comoros to question the free will of Crimeans cannot be viewed as anything but a flagrant display of double standards. No less troubling is the pretense of not noticing that the main danger for the future of Ukraine is the spread of chaos by extremists and neo-Nazis. Russia strives to do all it can to promote early stabilization in Ukraine. We are firmly convinced that this can be achieved through, among other steps: real constitutional reform which would ensure the legitimate rights of all Ukrainian regions and respond to demands from Ukraine’s south-eastern regions to make Russian the state’s second official language; firm guarantees on the non-alliance status enshrined in the laws of Ukraine, thus ensuring its role as a connecting link in the architecture of indivisible European security; urgent measures to halt activity on Ukraine’s territory by illegal armed formations of the Right Sector and other ultra-nationalist groups. We are not imposing anything on anyone, we just see that if it is not done, Ukraine will continue to spiral into crisis with unpredictable consequences. We stand ready to join international efforts aimed at achieving these goals. We support the appeal by foreign ministers of Germany, France and Poland to implement the February 21 agreement. Their proposal to hold Russia-EU talks with the participation of Ukraine and other Eastern Partnership states about the consequences of the EU-association agreements corresponds to our position. The world of today is not a nursery where tutors assign punishments at will. Belligerent statements such as those heard at the NATO foreign ministers meeting in Brussels do not match demands for a de-escalation. De-escalation should begin with rhetoric. It is time to stop the groundless whipping-up of tension and to return to serious common work.